Barcelona are just two matches away from completing an unbeaten season in La Liga, and the next opponents standing in their way are Levante. The Blaugrana face them at the Estadi Ciutat de Valencia before taking on Real Sociedad at the Camp Nou in their final match, and they'll be desperate not to slip up now. Sergi Roberto will be banned for Barcelona following his red card against Real Madrid earlier in the month. Per Goal's Ben Hayward, Barca's only injury concern prior to their 5-1 win over Villarreal was long-term absentee Sergi Samper. The Catalan giants appeared to come through the match unscathed, so they could have a full complement to call on against Levante aside from Samper. As for the hosts, according to Transfermarkt, Ivan Lopez Raul Fernandez, Tono and Cheick Doukoure have all been sidelined for some time and will likely to continue to miss out as a result. After coming through the biggest test of their unbeaten run in their 2-2 draw with Real Madrid, Barcelona followed that up with an impressive 5-1 thrashing of Villarreal. Indeed, the Argentinian is both Barcelona's chief playmaker and top goal-getter, and he'll have the biggest impact on their ability to see out the campaign unbeaten. His team-mates have a significant role to play too, though, and it was encouraging to see Ousmane Dembele bag a late brace, which included an excellent solo run and lob over the 'keeper. Get the feeling a lot of people don't realise how good Dembélé actually is. There was a time when you know, Barça persevered with their youngsters when developing. 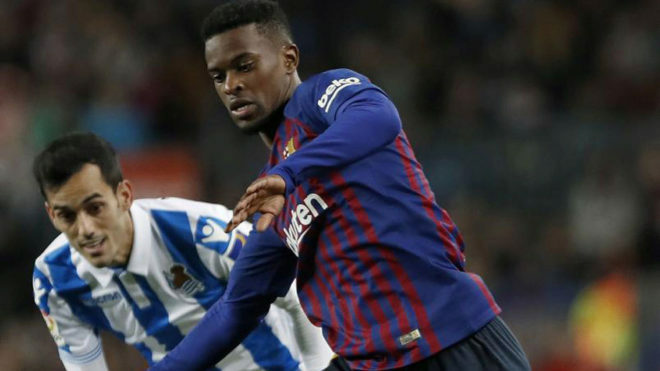 It has been a difficult first year at the Camp Nou for the 20-year-old having been hampered by injuries, but it will bode well for next season if he can finish this campaign strongly by helping them see out the final matches. Levante may be 16th in the table, but they're one of the in-form teams in La Liga right now having won seven of their last nine matches. The surge in form has catapulted them to safety in recent months, and it will make them a difficult prospect on Sunday. Barca only need a draw to keep their record intact, but they need Messi, Dembele and their team-mates to maintain their high level if they're to do so.